The Wooden Monkey is a restaurant with a conscience. Local. Sustainable. Organic. NS grown meat. Gluten Free. Vegetarian. The Wooden Monkey believes that sustainable agriculture protects our environment, public health, human communities, and animal welfare — it also produces foods that are better for you than the highly processed industrial alternatives and you sure can taste the difference! We had a great time. Our server, Sue, was very attentive and responsive. This was a meeting of an artist group, and is a great place to have a meal together and chat. Thanks for a timely and friendly meal in a casual environment. Food was great. The view is excellent and the food is top notch with friendly and helpful staff. The perfect place for date night. Great food, intimate atmosphere and great value. Servers are first rate as well. Highly Recommended! Delicious as always!! Love the lentil burger and beet salad. We really enjoy the restaurant and appreciate the variety of food. 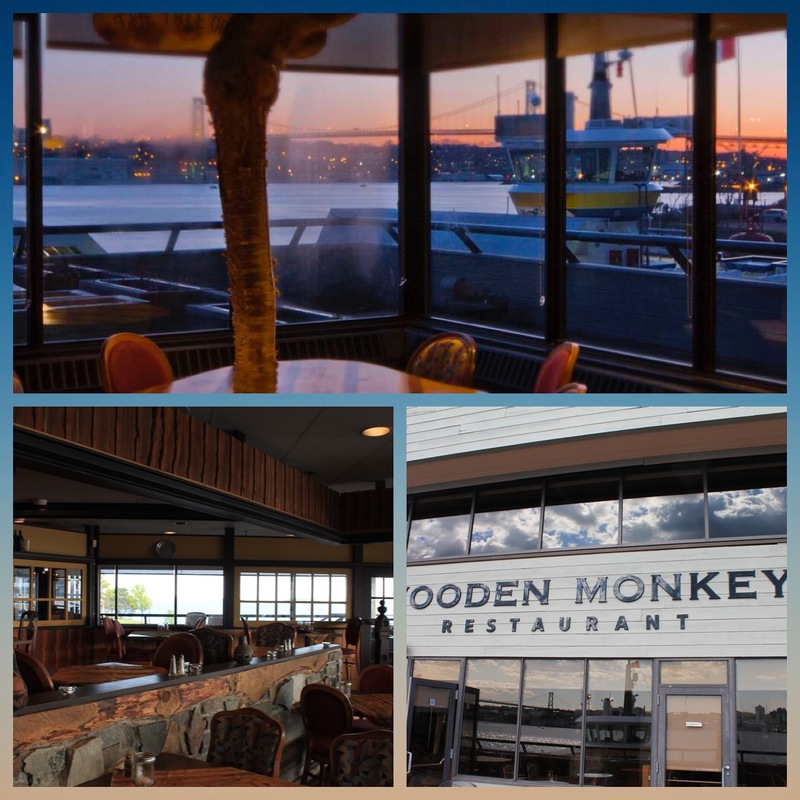 We enjoyed the delicious dinner and the beautiful view of the Dartmouth/Halifax harbour. Love the variety in the menu, the location, and the service! Never disappointed! My booking was immediate and hassle free. Our dining experience was exceptional. We weren’t rushed out and our wait staff was exceptionally attentive! By far my favourite restaurant (with a view) in Dartmouth! Thanks Wooden Monkey! Excellent burger week burger. Room was well set up for us. Our favourite restaurant in Dartmouth. The staff were terrific, really took care of us. Everything went super smoothly. Good food with variety of choices. Good value for the quality you get. One of my favourite places in Dartmouth. We made reservations to celebrate our 1yr wedding anniversary. We were actually married in this restaurant. Our table was unavailable. We weren’t offered anything special for the occasion. Not even a congratulations from our waiter whom we mentioned the anniversary to. Love the Wooden Monkey! 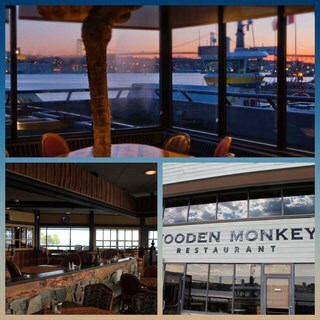 Great food and service plus the best views. Good varied menu, can eat and talk at your own pace, friendly service, good reservation system. The entire staff were extremely friendly and attentive. I can’t remember receiving this level of service anywhere else in a very long time. We can’t wait to come back. Top notch!!!! Sue knew about us and made us feel special. she was patient. And she was so great about the complexity of the bill. The fog lifted and the table was fabulous. Always love the local flare never dissatisfied!